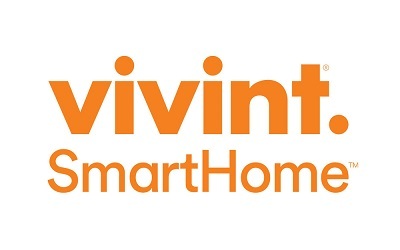 After rebranding itself in 2011, Vivint is now recognized as a company on the leading edge of the home security industry, offering "simple, affordable and smart home solutions". Vivint was named of the most innovative companies of 2017, bringing a tech-friendly attitude and edgy design to the trade. And while there are a lot professional home security companies to choose from, very few of them serve more than half a million satisfied customers. In a short space of time, this Vivint has managed to seamlessly integrate all their smart technologies into the home. They now stand out as one of the most reliable companies on the leading edge of the home security industry. Vivint is perfect if it's your first time owning a home security system. They offer professional installations, 24/7 cellular monitoring, FREE mobile apps, a full range U.S. manufactured smart home devices and with lifetime equipment warranty! 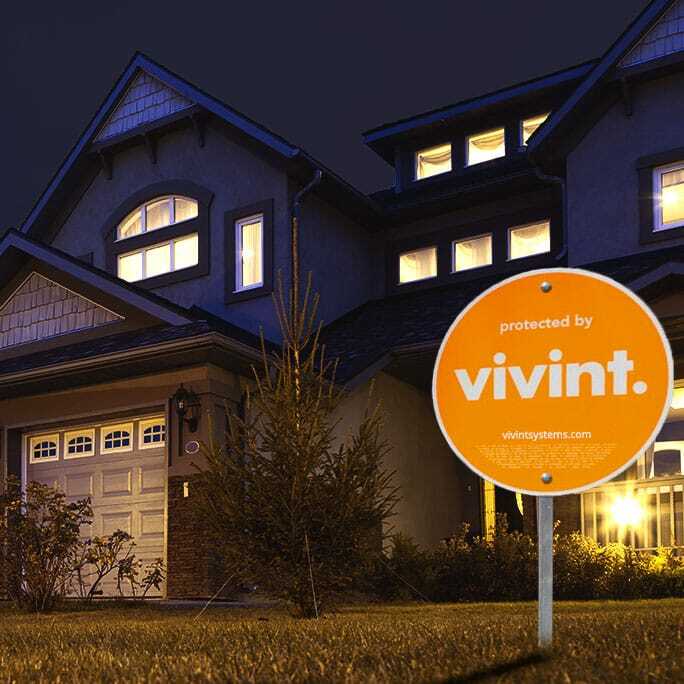 If you are interested in state-of-the-art home security and home automation features, Vivint is a smart choice. Vivint's smart thermostat can help you save money by setting a schedule so it turns on exactly when you need it to for nice and toasty welcome home every time. The smart thermostat has an elegant and sleek design, mobile access, and lets you control the heat and AC within your home right from your phone. With this device, you never have to worry about forgetting the heat or the AC on ever again! Vivint's doorbell camera allows you to open the door for friends and family while you are away. Best of all, it comes with night vision and a 180-degree view, so you won't miss anything. But, even when you are at home, you might not always want to answer the doorbell either, right? Vivint's doorbell camera allows you to see, hear, and talk to visitors at your door without ever opening it up. Apart from waiting to potentially capture footage of a burglar, indoor cameras might especially be important if you want to see who is in your home while you are not there. Vivint's indoor cameras double as a nanny cam and even lets you keep an eye on someone who might be providing a service inside your home while you are not present. With Vivint's you can skip making copies of your keys for good and you can even let your kids or family members into your home via the app for both Android and iOS. This advanced keypad door lock design is more convenient, safer, and harder to break into. door and window sensors - Sends a signal as soon as a window opens. glass break detectors - Senses when your glass panes have been broken or cracked. carbon monoxide detector - Electrochemical detection system - considered to be not only one of the best, but one of the quickest detectors on the market. temperature sensor - Measures temperature fluctuations in and around your home so that you can take the necessary action. Vivint has 3 packages to choose from, including the Vivint Starter, Smart Protect, and Smart Control options. All packages include a 24/7 monitoring service, remote access and control, as well as the highly acclaimed Vivint SkyControl Panel, which forms the hub of your system. After installation, you can remotely control the lights, your thermostat, some small appliances, and many other parts of your home from your web-enabled smart device. 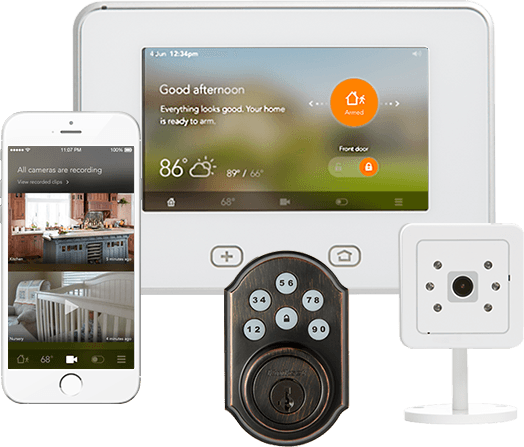 Vivint offers total home automation capabilities, energy management, and advanced home security on a completely wireless system. You'll have absolute control over your home - no matter where you are! 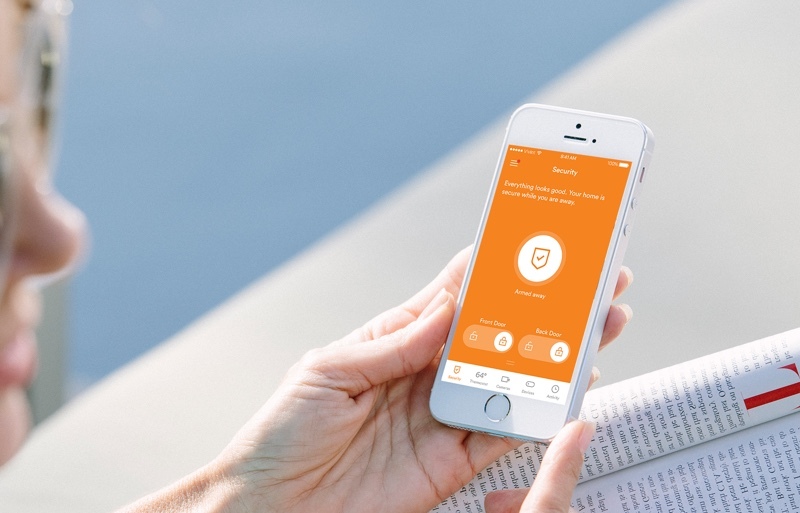 Why Not Customize Your Home Security System With Vivint? When installing home security products, it's important to consider features that will benefit your home the most. In addition to the standard features that come with packages on offer from Vivint, you still have the option of tailoring your home security system so that it better fits into your unique lifestyle. If you are away from your home a lot, Vivint has a custom package for you. If you have older kids at home while you are at work and you want to keep a watchful eye, Vivint also has a custom package for you. What's more, Vivint is a nationwide service, so once you decide to move, you can simply take your equipment with you and continue the service with minimum disruptions. Vivint has built a solid reputation for high-end wireless equipment that works, pro installations, and superior customer service. They offer more equipment than most other home security providers and allow the flexibility to tailor your home security package so that it fits into your particular household. Features 24/7 monitoring, customizable packages, and full home automation capabilities. The system is completely wireless, so no phone line required, and no interruptions. Once you move, you can take your system with you. Vivint has some of the latest technologies and advances in the home security industry alongside compatibility with several devices including the Nest Thermostat, Amazon Echo, Google Home and more.